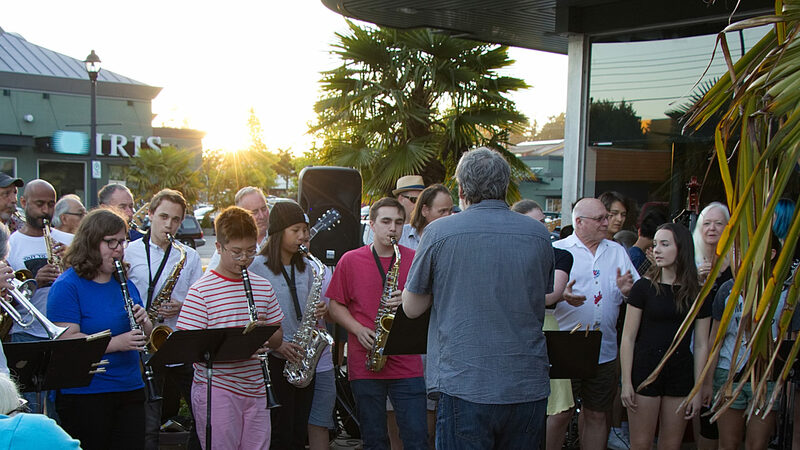 Today was the final day of the sixth edition of the South Delta Jazz Festival. After a morning of some fine tuning rehearsals to get ready we moved all our gear from the community centre over to Delta Hospital to prepare for our afternoon performance under the Envision tent for the folks at Delta Hospital. Our five student workshop combos performed from 12 until 3pm on the outdoor stage at the hospital. Thanks to Envision Credit union for providing the tent for this year’s event, and for Delta Hospital Foundation for organizing such a fine event. This evening was our final performance of the festival. Steve Maddock delivered a wonderful concert of standards with Lorne Kellett at the piano and the faculty band. A great evening was had by all. What a great wrap up to a wonderful week of music making.